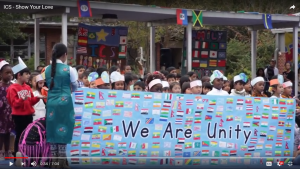 Welcoming refugee children is at the heart of the International Community School’s mission, says its Principal Julie Allen in an article written int he IB Community Blog. How did the school come about? The founders believed that all children, regardless of their families’ backgrounds, or their financial means, should receive the kind of nurturing and challenging education that will enable them to become learners and peacemakers in a world fractured by war and separation. The diversity and peace-making model was inspired by Dr. Martin Luther King, Jr’s vision of a Beloved Community. The previous principal, Chad Velde-Cabrera, described ICS as the home of “global thinkers”. How is this demonstrated in the school? Internationalism and open-mindedness are innate in our school. You see it and you feel it, and the combination of both results in being global thinkers. For example, the library serves as a quiet refuge for our Muslim students to pray each afternoon at 2pm. When classes are held during this time, the children express curiosity and open-mindedness at this daily ritual. Their recognition of, and respect for, other people’s religious customs demonstrates they are globally minded. What do you see as the greatest strengths of the PYP in serving your diverse student community? In the PYP, students acquire conceptual knowledge while integrating skills and positive attitudes towards learning and taking responsible action. At its core, PYP has six transdisciplinary themes, which are visited each year in increasing complexity. These six themes are global in nature so every learner, regardless of culture and ethnic origin, can explore common human experiences at a developmentally appropriate level. What challenges are there in having a large proportion of refugee students in the school? One of our biggest issues is meeting the needs of a few of our students whose education was interrupted during their parents’ journey to safety and ultimately the US. How does your school honour home and family languages? Teachers are encouraged to visit the homes of their students to build a bond with the family to better provide support for the students, understand the challenges they face, and to provide ideas about how to structure a nurturing environment in the classroom. Doing so, they honor and respect the family traditions and language. Our school has six Statements of Understanding as part of our mission, and two of them state that: We believe in educating the whole child—their physical, intellectual, social, emotional, cultural and creative selves. Teaching in a culturally responsive lens, we view socio-emotional development as important as promoting academic excellence. What are your plans for the school’s future? To continue to stay true to our mission: provide equal opportunity and a challenging and caring education to all, by bringing together families from other countries who are looking for a better opportunity for their children, and American families who believe in learning from and celebrating diversity. GA Gives on #GivingTuesday is fast approaching and ICS wants to be your organization of choice! Our goal is to raise $25,000 and we need your help! 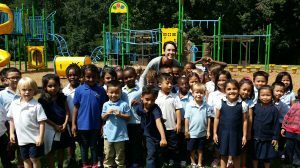 Like charter schools nationwide, ICS is consistently underfunded and relies on the generous support of individuals to fill our funding gap. The funds raised from our #GivingTuesday campaign will be used to continue funding crucial programs at ICS as well as provide funding for field trips, music, art, and technology in the classroom. ICS has unique funding needs that are not met by government funding. 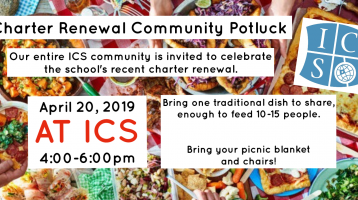 Approximately, fifty percent of our student population are refugees or immigrants and over seventy percent of students are eligible for free and reduced lunch. Your gift makes an impact. Your support helps serve our special student population and really makes a difference in the lives of these students and their families. Whether you have $1 or $10,000 to give, it all adds up to support our needs. Please #GiveBig on #GivingTuesday. DONATE… and share this news with family and friends!